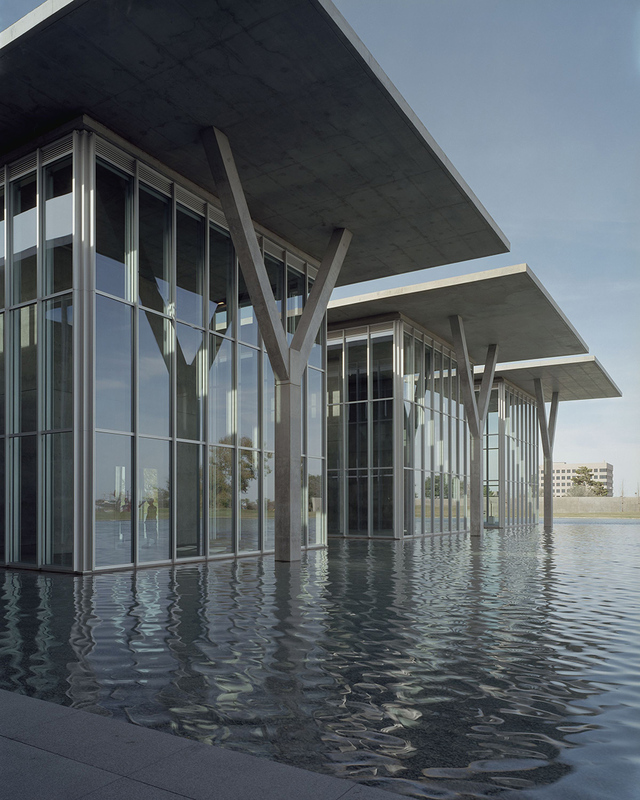 Forty-foot-high transparent walls of glass framed in metal surround the concrete envelope to create a bold expression and provide magnificent public circulation areas from which to view the surrounding building, the large reflecting pond, outdoor sculpture, and the landscaped grounds. 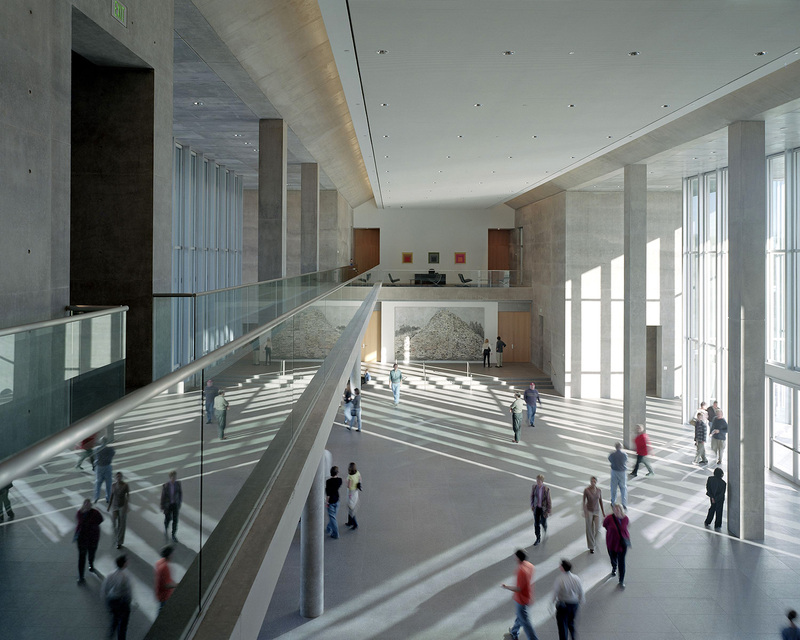 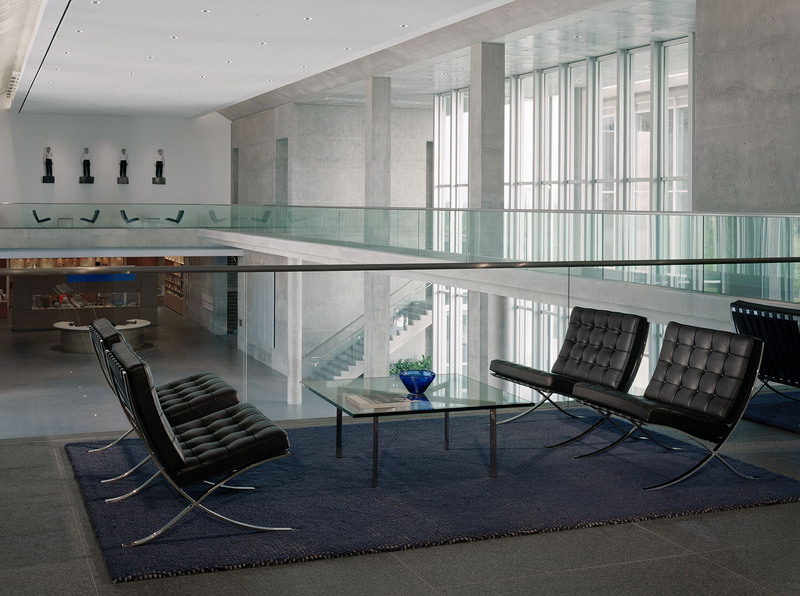 The desire to use diffused and reflected natural light within the gallery spaces was a major influence on the building’s design. 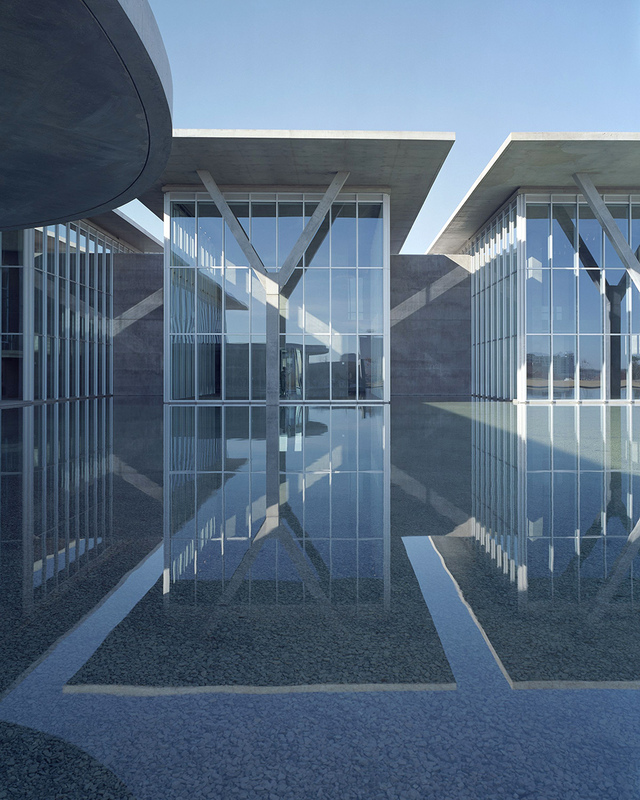 Immense cantilevered cast-concrete roofs shade the building’s exterior and accommodate the introduction of natural light into the gallery spaces by supporting sophisticated systems of continuous linear skylights and clerestory windows. 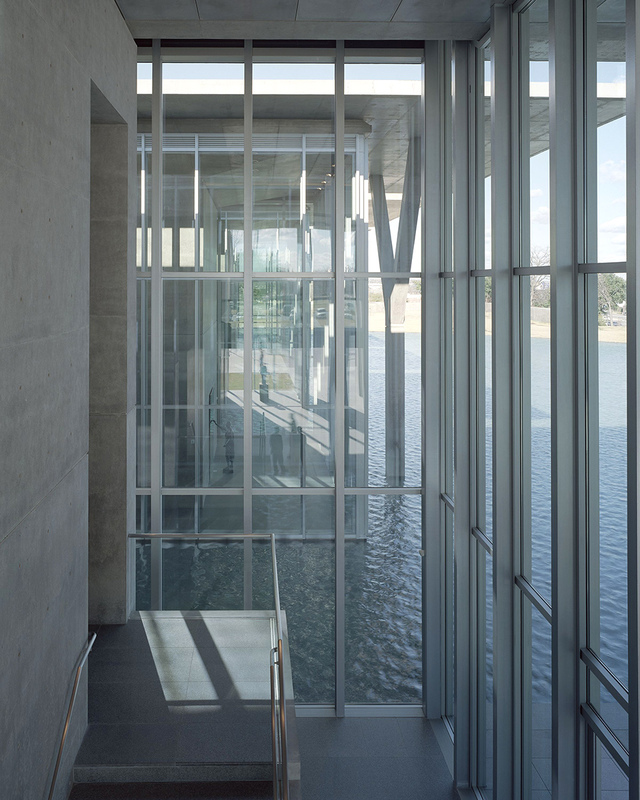 By day, the Modern’s setting on eleven naturally landscaped acres – including an outdoor sculpture garden and terrace and a large reflecting pond at the building’s edge – provides a restful complement to the building’s architectural strength. 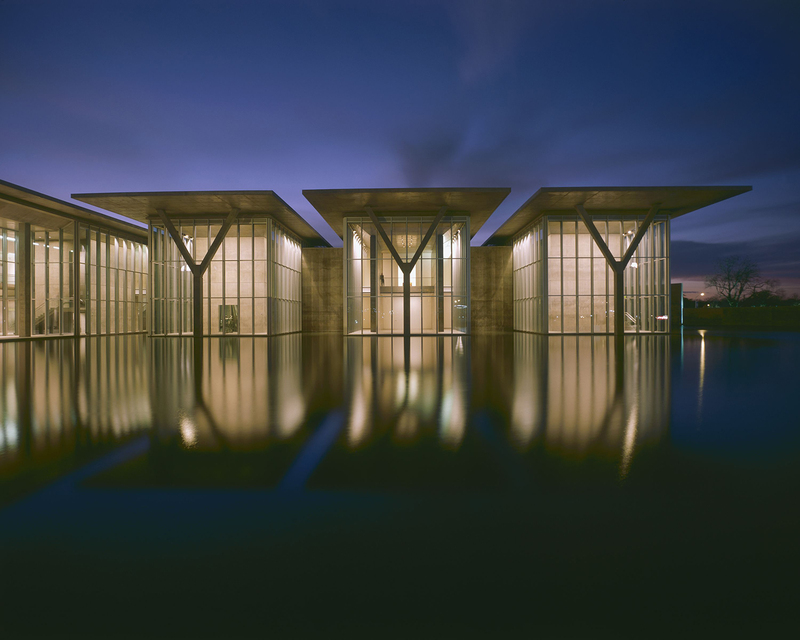 By night, with the concrete walls bathed in an even glow of light, the transparent glass-and-steel galleries appear as large lanterns floating on and reflected in the pond. 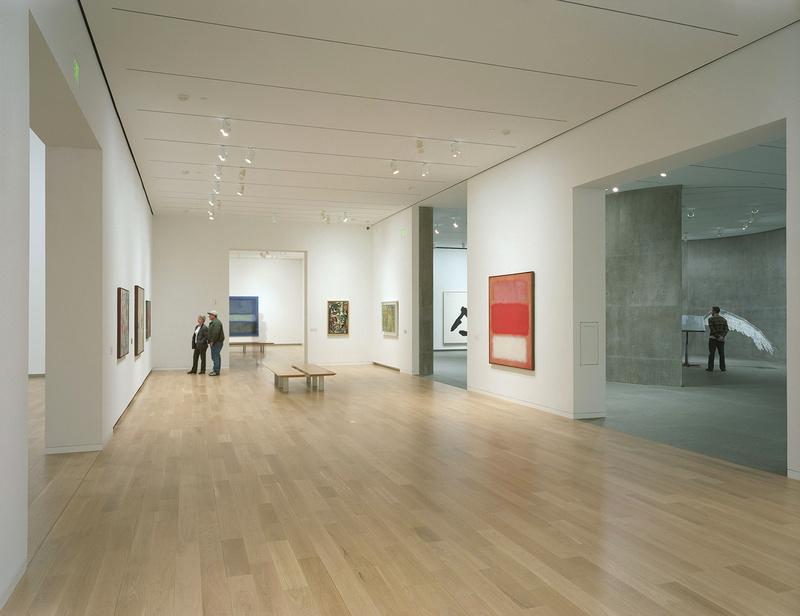 The Modern maintains one of the foremost collections of postwar art in the central United States, consisting of more than 2,600 significant works of modern and contemporary international art. 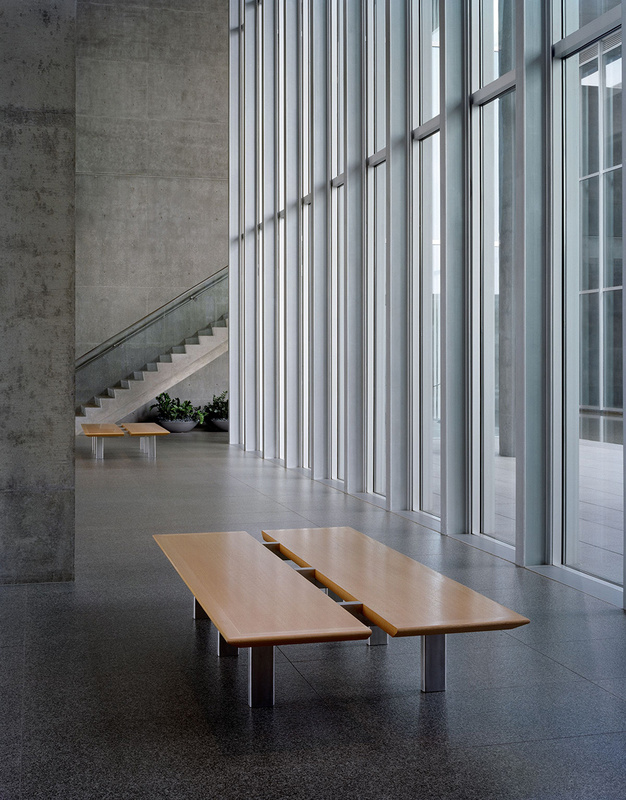 A variety of gallery spaces are accommodated throughout the two levels of the Modern by the simple modularity of the building’s design, combined with three double-height volumes that allow dramatic presentation of sculpture. 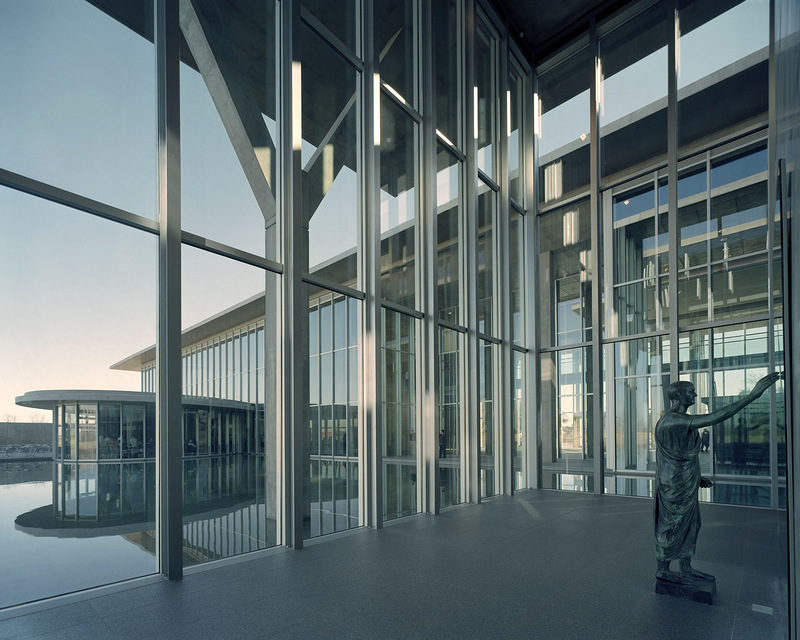 The building’s two levels permit the Museum’s curatorial staff to display works from the permanent collection on one floor while hosting a major traveling exhibition on another.